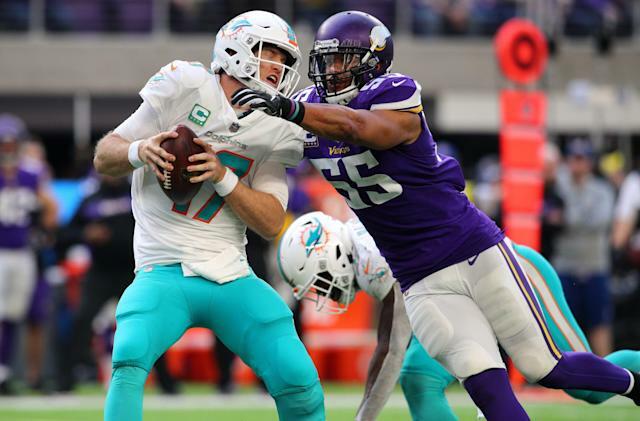 The New York Jets intend to sign former Minnesota Vikings linebacker Anthony Barr, ESPN reports. Terms of the deal were not reported. The 26-year-old pass rusher has made the Pro Bowl in each of the last four seasons with the Vikings. Minnesota declined to offer Barr a long-term deal or place the franchise tag on him ahead of the opening of free agency this week. Barr tallied 55 tackles, three sacks and four quarterback hits in 13 games in 2018. For his career, he has 13.5 sacks while averaging 68 tackles per season over five seasons.